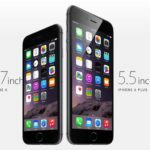 Earlier today Apple announced unlocked iPhone 6 and iPhone 6 pricing, plus also noted Rogers, Telus, Bell, MTS and Sasktel would officially carry the new phones, which can be pre-ordered this Friday, September 12. Apple Canada’s retail page also notes Canadians can reserve the iPhone 6 this Friday for pickup in store on September 19 at 8AM, the same time retail sales will commence (looks like it can be for either unlocked or contract devices?). There is no reserve and pickup for the iPhone 6 Plus, which would lead us to believe supplies of the larger model will be limited, as rumoured. Update: the view pricing and configurations page still does list the iPhone 6 Plus, so we assume it will be available for in-store pick up as well. The fine print reads “Supplies may be limited and are available on a first-come, first-served basis.” So if you don’t feel like waiting in line overnight, you can reserve your iPhone 6 and iPhone 6 Plus and go pick it up in-store on September 19. 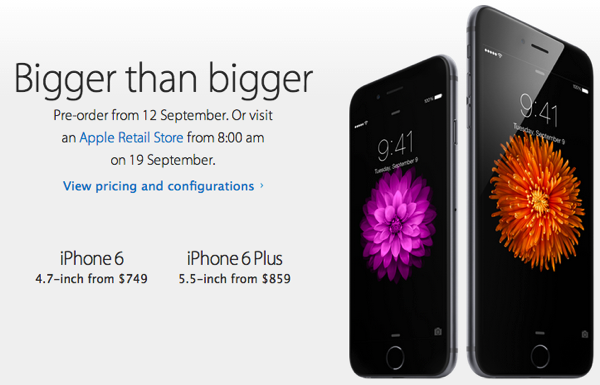 Both iPhone 6 pre-orders are expected to start at midnight PDT/3AM EDT on Friday, September 12.